If you haven’t noticed already, Mastodon is on a touring frenzy right now and if you haven’t seen them live yet, chances are you should check if they are coming to a local venue near you. Their recent gig poster for their show in Asheville, NC was done by Monkey Ink Design and is now available for sale. It is a 19″ x 25″ 2-color Screenprint and cost $25. On sale now HERE. 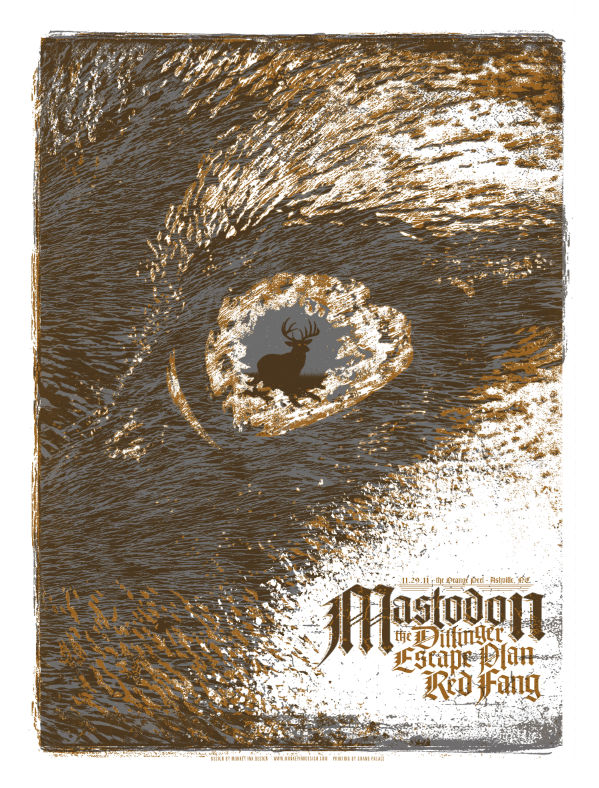 This entry was posted in Gig Posters and tagged Mastodon, Monkey Ink Design by admin. Bookmark the permalink.